Every Monday a new card or project with a new idea. 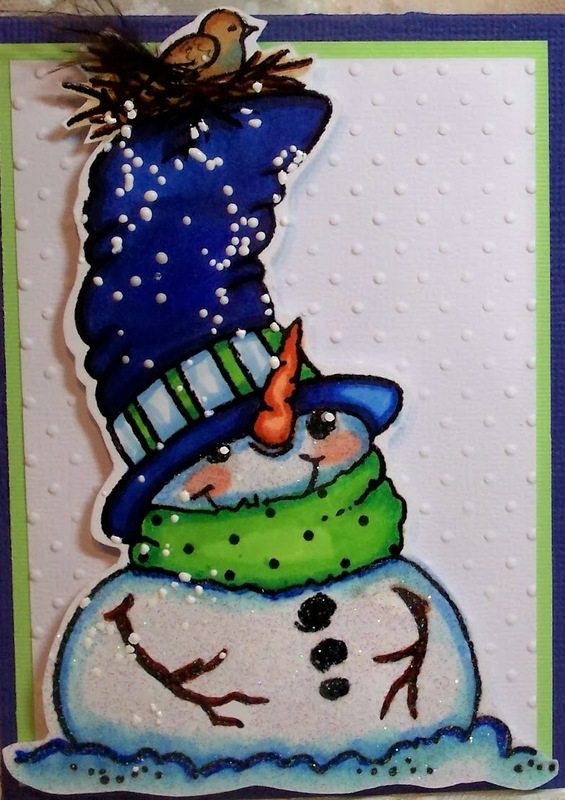 thought I would share a snowman stamp I bought and didn't get inked up yet. I wanted to mix a couple of unusual colors and change up the design a little. Hope you like it. 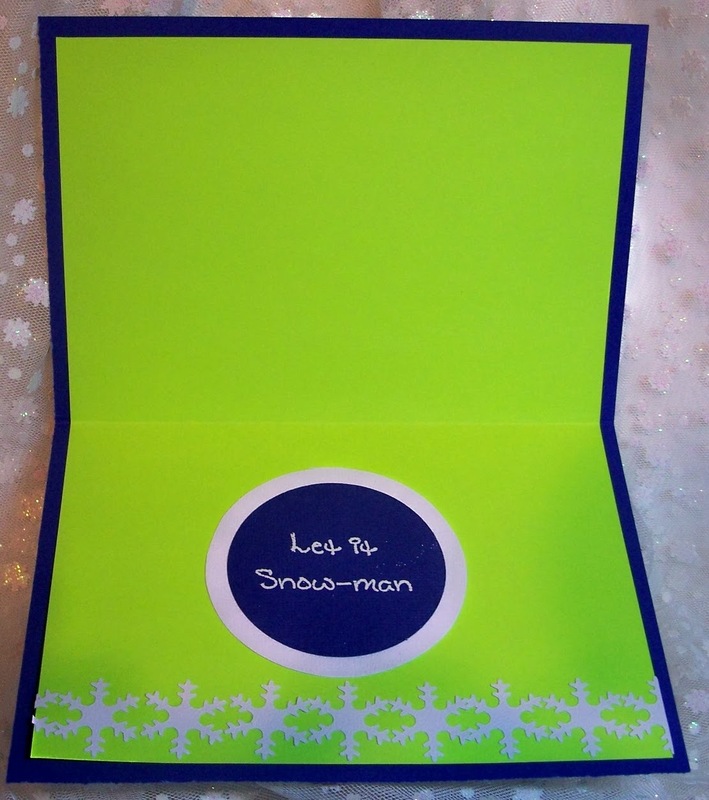 that comes with a tree, a word stamp and the little snowflake I used on the front of the card. I combined lime green with Navy blue and white. and the embossed white piece were cut to fit the remaining space on the 5x7 inch card. 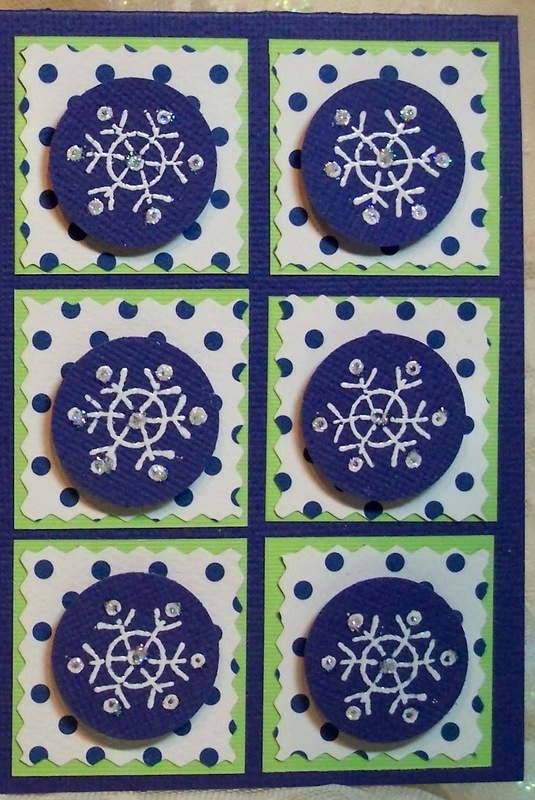 and using a small circle punch punched out and popped up on the squares. 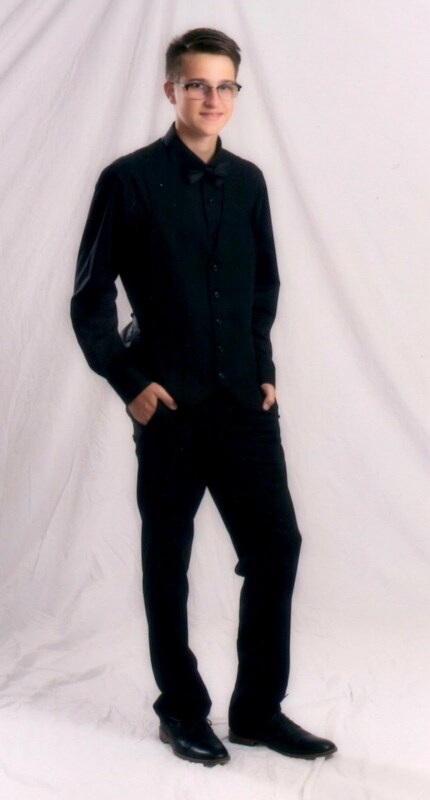 his face and body and embossed with the WOW embossing powder for sparkle. him and heated from underneath, so that it doesn't just blow off when you use the heat gun. Glued a small piece of fluffy feather to the birds tail on his hat. This is gorgeous Sue, such a wonderful jolly snowman. Fabulous colouring and I love the layout too. great and beautiful card Sue. OMG Sue, I LOVE this card. He is one of the cutest snowmen I've ever seen with that birds nest on his hat. The Fran-tage is perfectly distributed on him. Love the other stamps you added. That is one of my favorite color combos, lime and blue. I have a coat in those colors and get a lot of compliments on the colors. The sentiment is precious. A total winner here. Please pass along kisses to my friend. Enjoy the week, stay warm if you can. It's going to be bitter here again this week too. Brrr! Sue I just LOVE the colour combination that you went with...it looks fantastic!!! It's another snowy day here with wind swirling!!! I guess the perfect day for a snow man...LOL!!! Man oh Man I love those blues and greens. Snowmen melt my heart. Add a little birdie and I turn to mush. Love it, Sue. 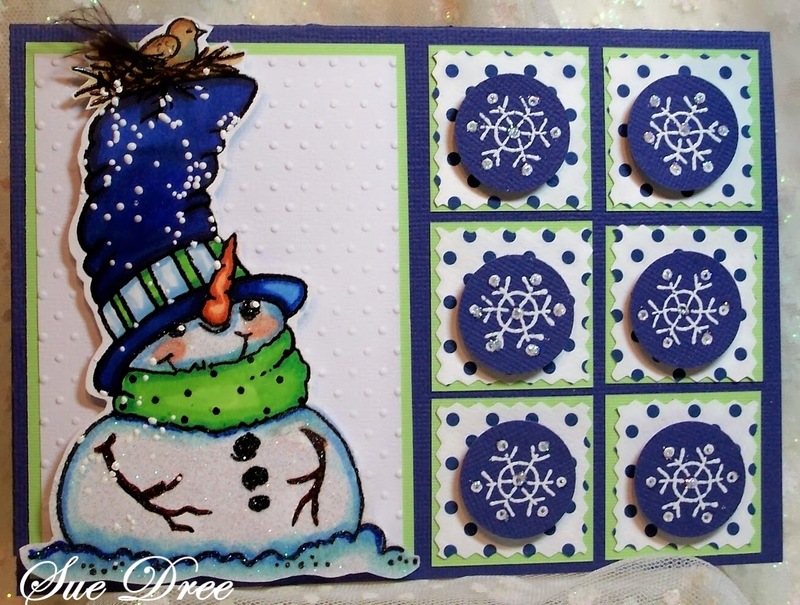 What a wonderfully crafted card, love the snowman, his hat and the way you highlighted the snowflake image in the six little squares! Great card!